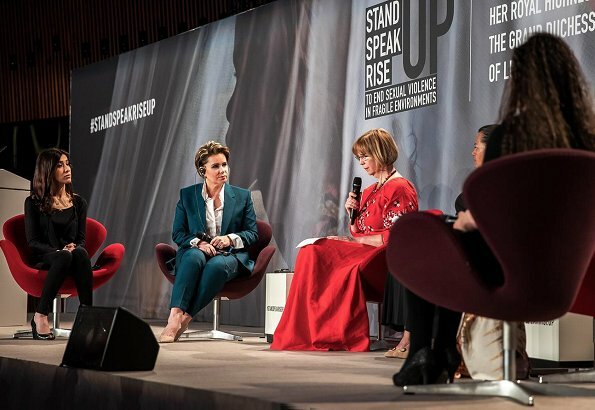 On March 26, 2019, Grand Duchess Maria Teresa of Luxembourg opened 'Stand Speak Rise Up' international forum at European Congress Center. 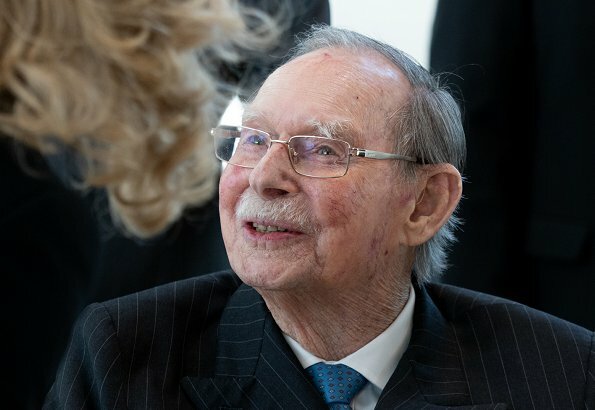 At the opening of the forum, Grand Duke Henri, Grand Duke Jean, Prince Felix, Princess Claire and Archduchess Marie-Astrid accompanied Grand Duchess Maria Teresa. 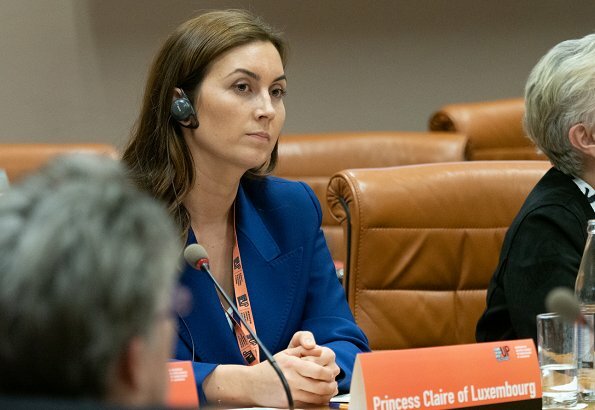 (Princess Claire attends the forum relating to children as a speaker.) 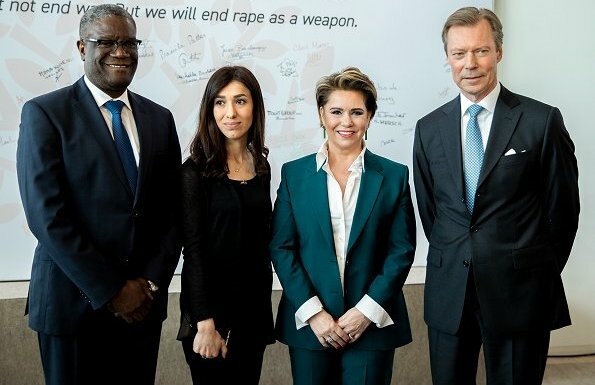 Dr. Denis Mukwege and Nadia Murad, who are the laureates of 2018 Nobel Peace Prize, were present at the opening of the forum. 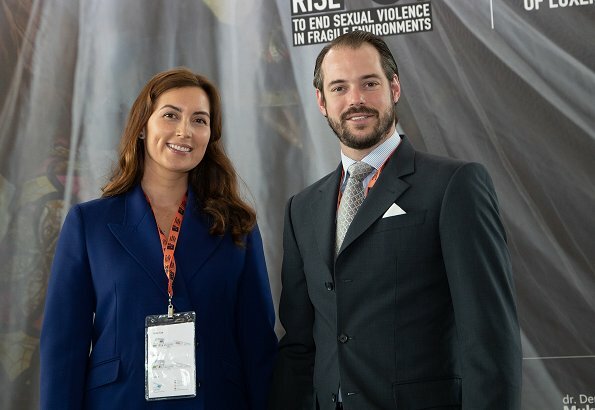 The event aims to establish new partnerships, to identify lasting solutions and to create a platform which will connect victims of sexual violence. A very closed family. I like them. Princess Claire looks glowing! Love this lady so much! 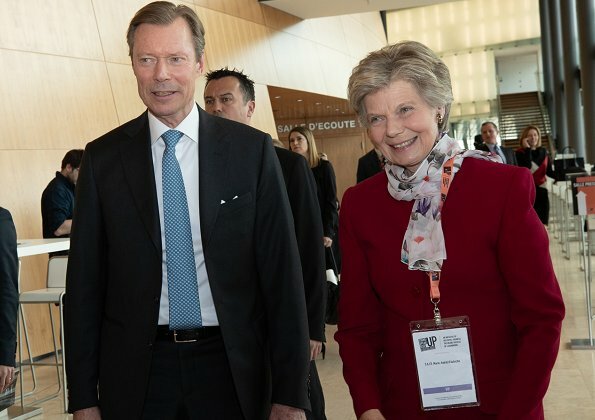 Nice to see so many Family-members at this event.GD Maria Teresa looks fantastic she is 63 and looks super.Nice to see GD Jean there as well and ADss Marie Astrid too.So are Felix and claire, her suit looks very nice. MT looks very nice with this nice color of the outfit. Very special. 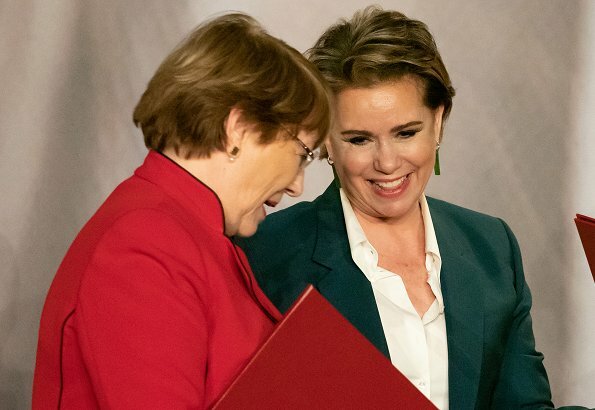 Maria Teresa est vraiment jolie et bien dans son élément. Claire est jolie. It is so good to see a smile on Nadia Murads face. Such a brave woman! Lovely color choice; a deep, rich, saturated tone for the Gr. Duchess's power suit. Its good to see the support of the family. Best wishes for a successful forum on such an important and serious topic.